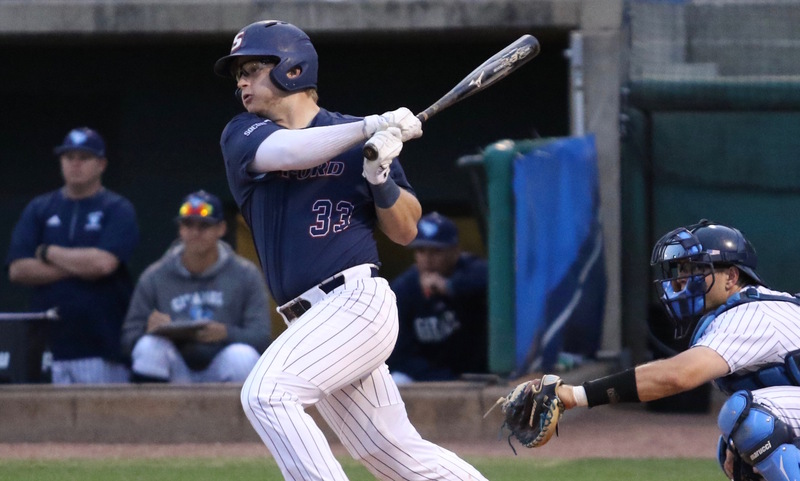 The Samford Bulldog Baseball team will take on the Furman Paladins in Birmingham, Alabama for their first conference series Friday, March 22. The Bulldogs will be coming off a home game against the Mississippi State Bulldogs that took place on Wednesday. The Bulldogs have already played in four weekend series, winning four out of the five, but falling to USF in their first series. Last season, Samford took home the SoCon championship after a solid season in conference play, finishing with a 16-8 SoCon record. The Bulldogs, led by head coach Casey Dunn, will look to repeat their success, and win another bid to the NCAA tournament. Their hopes at a Super Regional bid were cut short by none other than Mississippi State. The Furman Paladins will also be coming off a challenging midweek SEC opponent with South Carolina. The Paladins have surely had a rough start to the 2019 season, as they have not won a single weekend series. However, they did upset the Ohio State Buckeyes on March 11. Last season, Samford easily swept the Paladins in three games in Greenville. The Bulldog batting lineup is led by sophomore infielder Brooks Carlson. Prior to the Mississippi State game, the Mobile native is leading the team in average (.397) and hits (29). As for the mound, Birmingham native Samuel Strickland has the best record out of any Samford starter with 3-1. The lefty sophomore also leads the team in innings pitched (25) with a 4.32 ERA. In order for the Bulldogs to take home another SoCon title, they will have to make some improvements on the mound first by improving their total ERA of 3.96. As long as pitching stays under control, errors are kept to a minimum, and the bats stay hot, the Bulldogs have a pretty fair chance at taking home another conference championship. The Samford Bulldogs will play the Furman Paladins on Friday at 6 p.m, Saturday at 2 p.m, and Sunday at 1 p.m on Joe Lee Griffin field.